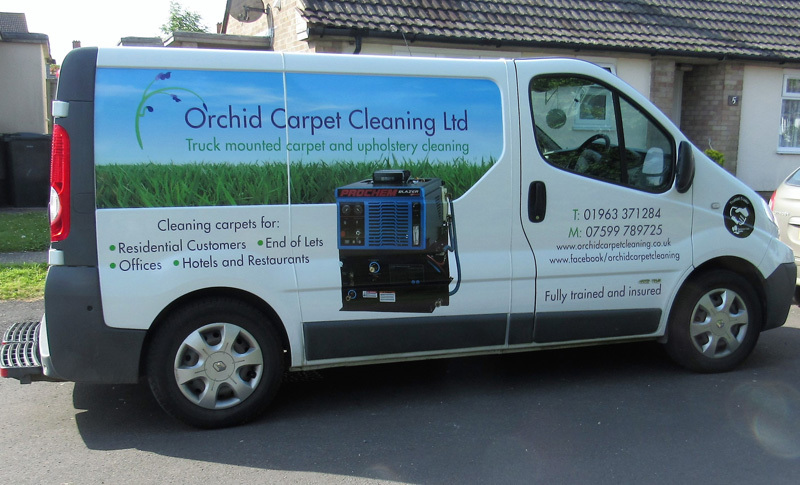 Orchid Carpet Cleaning Ltd is a family run business based in Templecombe that was established in 2008. We specialise in professional carpet and upholstery cleaning for both residential and commercial customers throughout Somerset, Dorset and Wiltshire. Owners Richard and Nikki have gained many regular customers with their professional and friendly approach and have forged good working relationships with several local letting agents including Gilyard Scarth, Hambledons, The Home Company and Symonds & Sampson. Our 10 years of experience combined with our Prochem Truck Mounted Cleaning System means we are able to clean your carpets, rugs and upholstery to the highest standards. Services include full sanitise and deodorise, spot and stain removal and insect treatments. Fully trained and insured. We have used Richard for five years and he has always provided excellent service. He works non-stop and has done wonders with a particularly difficult carpet.